We had such a fun time up at my folks' house last weekend. My mom, the boy, and I dyed easter eggs Saturday in anticipation of the Easter Bunny. My mom made 3 natural dyes: turmeric, beets, and blueberries. And a combo of turmeric and blueberries for green! 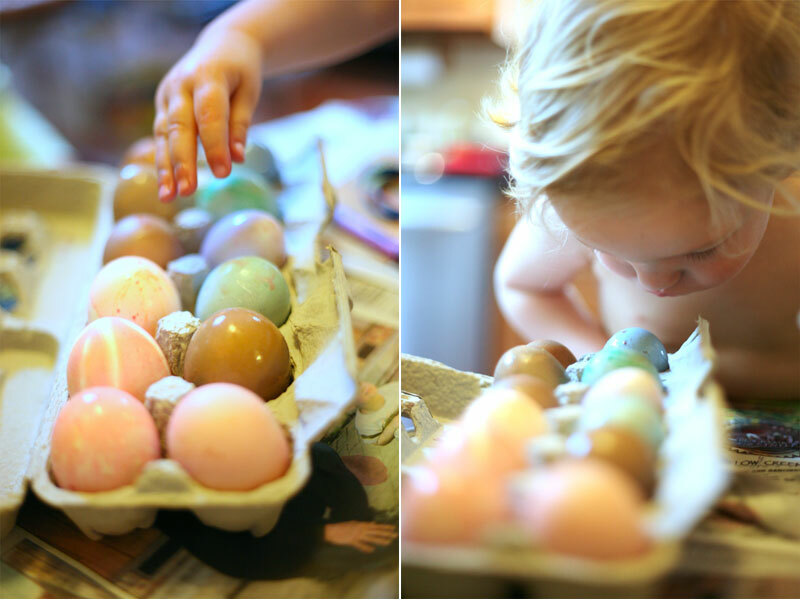 We used brown and white eggs and all had a great time coloring 'em up! The egg hunt was a success. 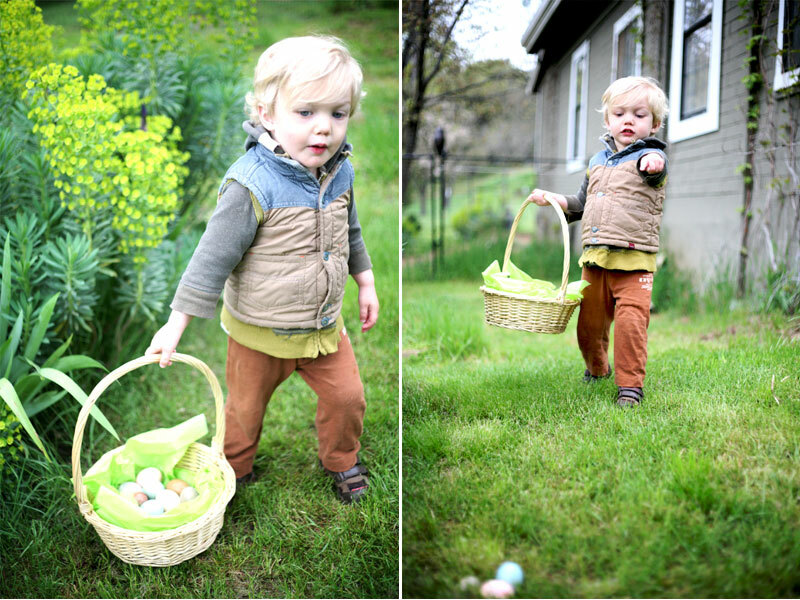 We hid a dozen eggs in the front yard and I took a few photos. He loved it- once he got past the basket with new fun things, including bubbles! Anyone with a toddler knows that bubbles are magic, they are the secret weapon of fun! So we did bubbles for a bit and finally were able to convince him to look around for some eggs. Yay! He totally got into it and it was so cute! Few things create a speechless situation, but for some reason, the boy was stunned every time he saw an egg! He'd point and grunt 'mmmm' 'mmmmm.' And then he scoop up the egg and drop them into the basket. I think he cracked every egg.